Laguna Hills, CA – It’s been well over three years since any posts on this site related to the experiences for the family of John Lamb and his professional baseball journey. Health issues within the family, work and the basic need to keep baseball related opinions to ourselves have only been a few of the reasons for silence. However, it’s really about time to share a little of the recent past, present and possible future for the Lamb family’s connection to the great game of baseball. 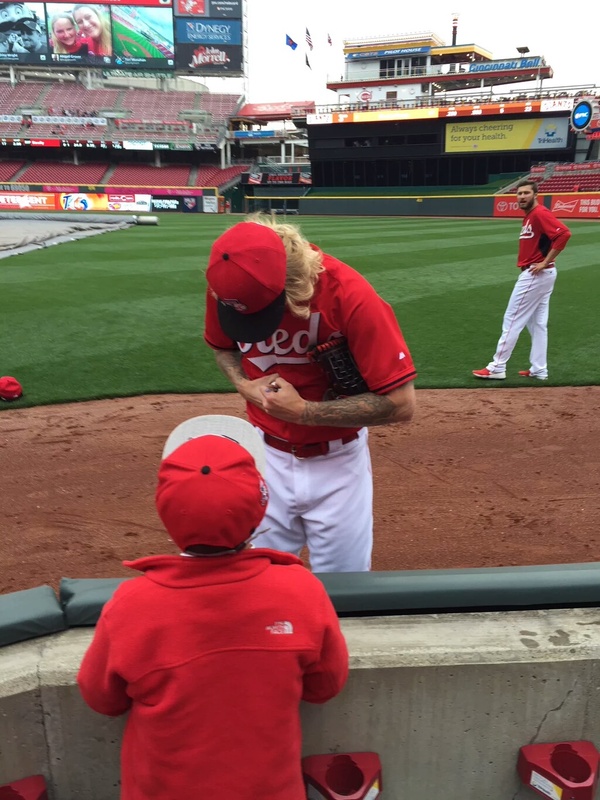 John Lamb on May 8, 2016 in Cincinnati, OH. The 2013 and 2014 baseball seasons for John Lamb netted himself and fellow Omaha Storm Chasers consecutive AAA championship rings to add to his collection of hardware around the game. Joyful pride would be an understatement for his opportunity and participation within the Royals minor league system’s most recent successes. The 2015 mid-season All Star nomination for his Pacific Coast League performance was beyond exciting. Our travels to Omaha, NE allowed my wife and I to visit with plenty of good people around the affiliation, as well as, witness John’s first call up to the big leagues. Although, he did not pitch in either of the games during our brief trip we were filled with tremendous happiness to be there in person during this path of his professional career. Soon after, the Cincinnati Reds and Kansas City Royals agreed to a trade which sent John Lamb, Brandon Finnegan and Cody Reed to wear some red. Quickly, the trade opened a new door for John on August 16, 2015 for his Major League Baseball debut versus the Los Angeles Dodgers. Jumping in a car to fight the Southern California traffic was the least of our concerns about all the emotions surrounding this huge step in his professional baseball career. Plenty of family, friends and acquaintances were on hand to enjoy the left handed pitcher chasing his dreams with the Reds, as baseball’s oldest organization. The occasional roller coaster ride associated with a professional baseball player can make oneself question a wide gambit of decisions, but opportunity calms any desire for explanation. 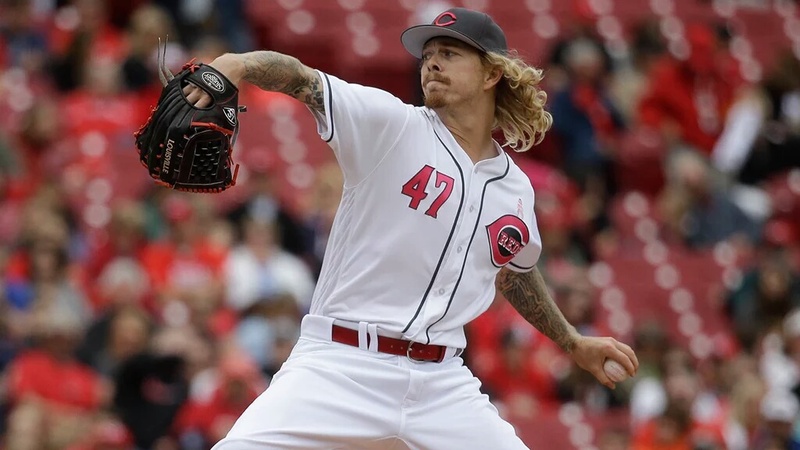 Most recently, John Lamb was reinstated to the Reds active roster following a short stint on the disabled list while rehabbing from a back related surgery. Now with a couple of starts behind him being back with the big boys, we’re anxious every five days to see his outings through our MLB.tv account. Unfortunately, John bruised his hand a few days ago, while batting, in a Mother’s day performance at Great American Ball Park which prompted an early exit from the game in the top of 5th inning. Not having any strength in his thumb to grip the ball forced the staff’s visit to the mound. Luckily, a MRI yesterday didn’t show any structural damage in his hand and it seems, based on media reports and talking with John, that a little extra rest should offer up another start with his fellow Redlegs. Nobody around the game can see the future but plenty try to predict and forecast. One thing can be certain, my Son wants to win and he cherishes championships. Surely, at this point in his baseball career, his focus is to help the Cincinnati Reds return to their winning ways and bring a championship back to the city on the banks of the Ohio River. All we can hope for is that health and opportunity continue to embrace John Lamb during the course around the game. Gratitude towards the Cincinnati Reds organization, front office, coaches and staff continue to fill the west coast household of a young man living out childhood dreams. GO REDS!